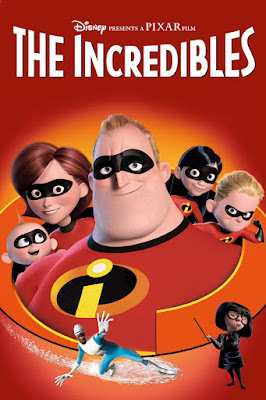 Our FoodnFlix film this month was the original "The Incredibles", a fun animated Disney film about a "different" family that is doing their best to conform to societies norms. Our host, Kelley of Simply Inspired Meals, invited us to watch either the original or the sequel, The Incredibles 2, released this month. Take a look at her invitation post and join in the fun. 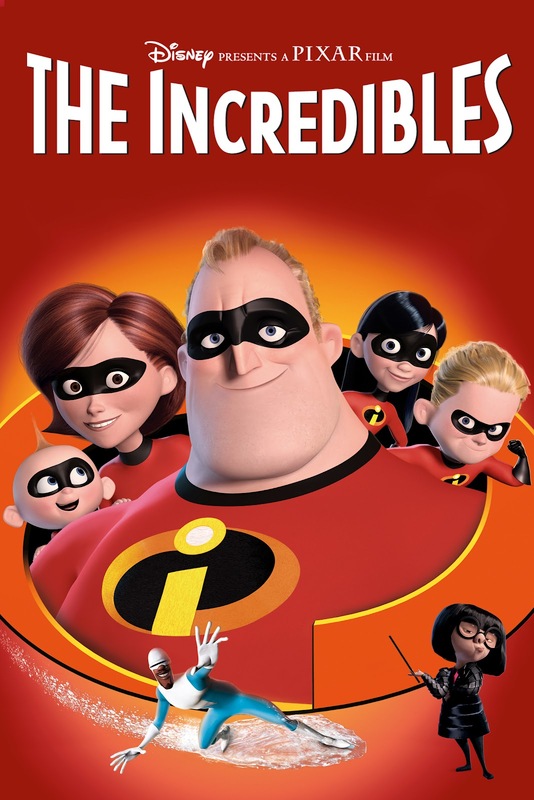 I had watched the first Incredibles with our kids back in 2004 when it first came out. Hard to believe that it's been 14 years already. I went to the library and rented the original, cuddled up with my Little Miss and enjoyed it just as much as I did the first time. We will be taking her to see Incredible 2 when it opens. She enjoyed the first one so much and since watching it we have conversations daily about super powers and pretend we are an Incredible. The movie starts off showing all the Incredibles heroics in the past and their fall from grace when society needed a scapegoat to blame for the evil and tragedy in the world. The Incredibles are placed into a governmental "protection" program and sent to live out their lives as "ordinary" citizens. This is easier said than done. It is very hard to bury your true self and conform to what society dictates should be the norm. Unable to help himself, Mr. Incredible, sneaks out every chance he gets with his friend, Frozone, to fight crime and help others "undercover". His wife discovers his subterfuge, sets out to stop him but ends up, with the assistance of their two older children who also have super powers, saving him. There is not a lot of food in this movie. There is a scene at the beginning of the movie where the family is having dinner. It is during this dinner that we get to know the family, their individual super powers and the problems caused by trying to hide your true self to "fit in". The mother, Elastigirl, says at one point that it is leftover night so they have a choice of steak, pasta, meatloaf or salad. I took my inspiration from this scene and created a pasta using leftovers. I started out with some of the garlic butter that I received as a sponsor gift for Cookout Week coming up at the end of the month. I couldn't wait to try it. I received no monetary compensation nor was I asked to share it other than in Cookout Week. All opinions are my own. I added some butter to a skillet and then put in leftover mushrooms, onions and asparagus that I had served as sides with grilled steaks for a dinner that I made to welcome Jessica's new boyfriend when she brought him over to meet us. If you don't have leftovers of these items, you can just saute the onions and mushrooms in butter, then quickly blanch the asparagus before adding it to the pan. There was half a steak left which was the perfect amount for the two of us. Should you not have leftover steak, just thinly slice up some raw steak and cook it up with the veggies. It will cook quickly. If you are using leftover steak you just want to warm it through so it doesn't overcook. I added another dollop of garlic butter before the steak. No garlic butter? Add a minced garlic clove with the veggies to start. I waited until the end to add some halved grape tomatoes so they would retain their shape and add some color to the dish. A little heavy cream added at the end to warm and make a sauce before tossing it with some egg noodles and a bit of the pasta cooking water. In the time it takes you to cook the pasta, you have a delicious, easy and economical meal for two and it all started with leftovers. Like Elastigirl, we have leftover night. The difference is that I normally plan my leftovers into my Weekly Menu, sometimes intentionally making a bit more than we need for a meal so that I can create a new dish for another evening. Do you plan for your leftovers? Have you seen The Incredibles? I am really looking forward to the second movie due out this week. I'll share my review of it after we go. NOTE: The mushrooms, onions, asparagus and steak can all be leftovers and merely heated through in each step. Melt 1 tablespoon of the butter in a large skillet. Add the mushrooms, onions and asparagus and cook until tender or warm through if using leftovers. Add another tablespoon of butter to the skillet and the garlic, if needed, along with the steak. Cook until steak is at desired temperature or just warmed through if using leftovers. Add the tomatoes and cook briefly to warm through. Add the cream and continue to cook and stir until well coated and warmed. Do not allow mixture to boil. Add the noodles to the pan and toss to coat. Add a couple of Tablespoons of the cooking water if sauce is to thick. 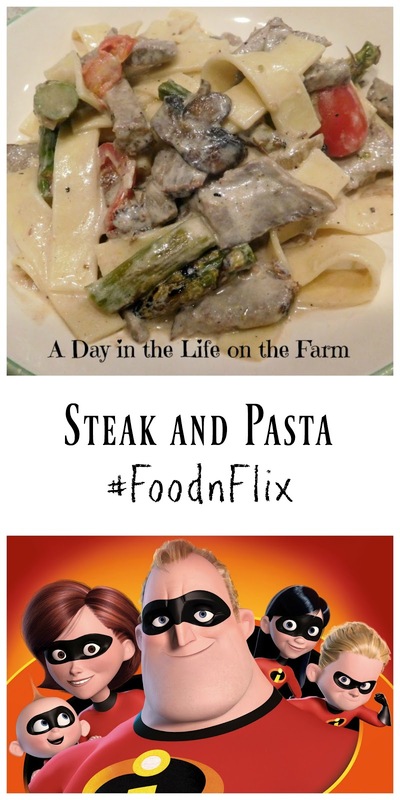 This recipe inspired by the Disney/Pixar movie "The Incredibles" for our #FoodnFlix club. Yum!!! We rarely have leftover steak with my carnivores. But this looks amazing. I'll see if I can try it soon. Who says leftovers can't be elevated to fine dining status? Great spread. We bought some Chef Shamy butter a few years ago at a food tasting event at a local store. It was really GOOOD! Yes, I really was impressed with this butter Debra.